Sticking to a strict skincare regime can be tough but when you find the right products, it’s actually quite enjoyable. These days when I get home, I love putting my little headband on, taking my makeup off for that fresh faced feeling. We were recently at a little Lush event and came home with a few products to try out. 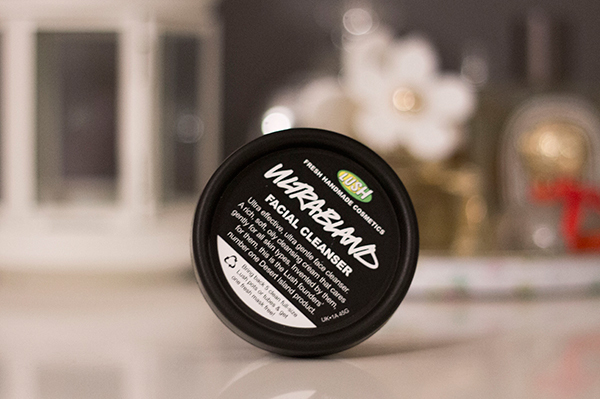 Most products I've tried before and I love but one which blew me away was the Lush Ultrabland Facial Cleanser* which is definitely worth repurchasing. With my skincare routine, I’ve really been trying to keep things simple. You'll know from my makeup removal routine that my skin can be a bit sensitive so I find using products with minimal ingredients and fragrance to be the best for my skin. One thing I’ve been interested in trying is balm cleansers but since the majority of them are around £30+ it is a little too pricey for me. If you’re looking for something like that, this is a really great alternative. It’s a very creamy/balmy cleanser which feels lovely and soothing on the skin. 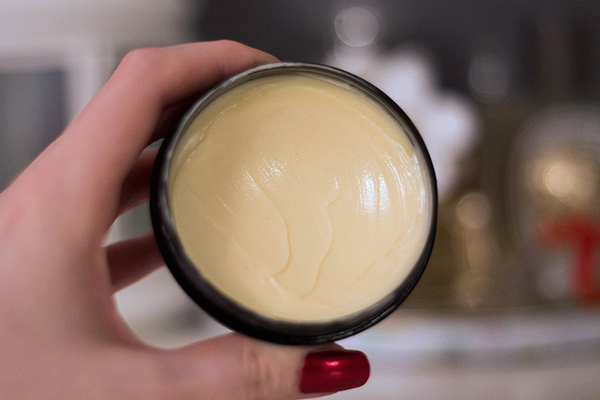 The texture is sort of like butter so it’s extremely gentle on the skin. I basically take a small amount and massage it into my skin until all the areas of my face have been covered so it feels like a little mini facial. As it has quite an oily consistency I find the best way to remove it is using a warm, damp flannel as water alone doesn’t remove it as well. Once I’ve removed it my skin feels so soft and clean without that sort of tight, squeaky clean feel. For problematic skin, it’s recommended that you use Ultrabland and nothing else for a while and it’s definitely helped a lot with my breakouts. It sort of balances the skin out to a normal state so I’ve found my skin has been much less oily as a result and my dry patches have been nourished really well. It doesn’t have too many drawbacks but I will say that there are two things which let it down. First is that the scent isn’t all that great but after a few uses you get used to it and it doesn’t linger around after cleansing either. Second is that it does contain parabens so for those who may have reactions to parabens, it won’t be for you. Aside from those two things, it’s an amazing cleanser. If you’re after a new cleanser, it’s definitely worth checking out. The smaller tub is £6.95 but the bigger one is around £10.95, it’s safe to say I’ll be picking up the bigger pot once this is finished. It’s suitable for all skin types and is the Lush founders number one desert island product which says it all!